Business blogging is an effective tool to communicate with your customers and educate the general public. But while your customers may be aware that you have a blog, the rest of the world may not. So it’s good practice to optimize a blog post as well as the entire web site to improve your chances of being found online. The title of your blog post should have an H1 tag. To check if your blog post title has an H1 tag, just highlight the title, right click and inspect element, and look for the tags enclosing the title. If you see anything other than h1, say h2 or h3, the best thing to do is ask a web developer or programmer to change this to h1. Next, make sure that your title contains the keyword or keyword phrase that you want to optimize the blog post for. For example, this blog post is being optimized for the keyword phrase “how to optimize a blog post.” Notice that the title if this post is the exact keyword phrase we’re optimizing it for. Finally, make sure that your title is under 70 characters. More than that and Google will truncate your title on search results. In that case, they would not see the whole title of your blog as illustrated in the image below. The ellipsis indicate that the blog post title is truncated, i.e. more than 70 characters. Many Internet marketers fall into the trap of stuffing their blog posts with keywords. While you should definitely keep search engines in mind, you should write your post in a way that your readers will understand. This means using natural English and inserting your keywords into the body less than 10% of the total word count. The best practice is to insert your keyword in the first paragraph and the last paragraph. Then one to two times on the body of your paragraph. Adding section headings to your blog posts also help in optimization and making your posts more readadble. Try to make them related to your main keyword and use H2/H3 tags to make them stand out from the actual body. You should add at least one image or video into the blog post. If you’re adding an image, make sure that you use your keyword/keyword phrase as an alternate tag/text for your image. Some even suggest renaming your image with that of your chosen keyword or keyword phrase. I do that sometimes but I also try to use image titles that are descriptive of the picture. If you’re using WordPress, there is an option to add tags in your post. Think of tags as important keywords found in your post. So make sure to add the keyword(s) you are optimizing for in the tags as well as other related keywords. For example, this post will also be tagged as blog SEO. Before you publish your post, check the URL of your post. Some people write the body first before writing the title and forget to edit the permalink for that blog post. So they up with something like http://yourdomain.com/1234565. You don’t want that. You want a permalink to contains your keyword(s). There are plenty of WordPress plugins that you can use to make optimization easier. 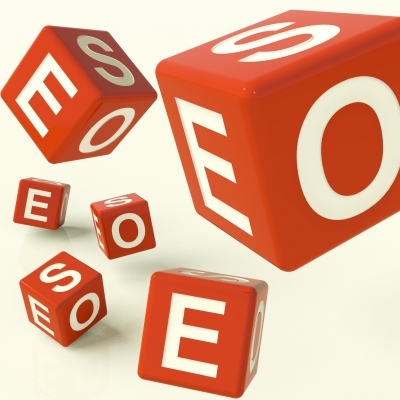 Some of the most popular are All in One SEO, WP SEO by Yoast, and Scribe SEO. I’ve personally used the first two and recommend the first to beginners. However, I use WP SEO by Yoast a lot now because you can customize meta descriptions for Facebook and Google Plus, which is pretty cool. Do you have other tips on how to optimize a blog post? I’d love to hear them.